ShowMeCables offers a Cat8 option for 2000 MHz data transmission. This cable supports up to 40G data transfer rates. 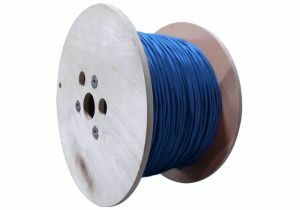 With both cut by-the-foot cabling and full spools available, our Cat8 cable is ready to ship today. Not sure which ethernet cable you need? Call or chat today and we will recommend the right solution for you.